Women have every opportunity to excel in STEM (Science, Technology, Engineering, and Math) career fields. 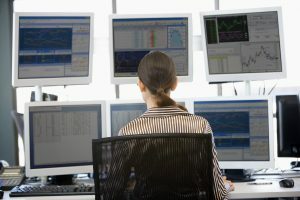 The CloudQuant team has worked with several talented women in our careers and hope to encourage other women to join us in the world of Financial Technology and Algorithmic Trading. 1. Become crowd researchers using STEM and Data Science skills to develop trading algorithms. 2. Review our career page and to apply for jobs. Internships, both full time and part time, are available for most semesters, summer, and winter breaks. What is it like to be a female in Data Science? Sonal Gupta is an MBA graduate student at Case Western Reserve University in Ohio. She has five years experience in leading software development teams, product development and consulting engagements. She has the ability to analyze large volumes of data and generating actionable insights. We asked her what her experience has been like as a female in data science and invite you to read her response below. https://info.cloudquant.com/wp-content/uploads/sonal.jpg 1280 1280 Tayloe Draughon https://info.cloudquant.com/wp-content/uploads/cloudquant_final_w_horiz-300x100.png Tayloe Draughon2018-07-13 18:05:052018-07-13 18:14:01What is it like to be a female in Data Science? Machine learning AI News, covering topics such as Women in AI, Robotic Investing and the budding AI Hegemony. “It’s exciting to see the growing number of women in Science, Technology, Engineering and Math (STEM); my advice is to not be afraid to jump in headfirst,” said Sarah Leonard, graduate student at the University of Chicago. “It is a difficult field but also lucrative and rapidly growing.” Leonard sat down with CloudQuant to talk about her experiences in data science, her insight as a female in a male dominated world, and the intensive process it took to find her dream job. https://info.cloudquant.com/wp-content/uploads/Skye_Slade_02.jpg 422 577 Tayloe Draughon https://info.cloudquant.com/wp-content/uploads/cloudquant_final_w_horiz-300x100.png Tayloe Draughon2018-01-15 15:44:292018-01-15 15:54:28Young Women: Programming Helps! FinTech Women (FTW) had their launch event at Morningstar on Monday, December 11 in an effort to bring together experienced women in the financial technology space and highlight their achievements.